The latest addition to Burlington's mini Cherry Street restaurant row will arrive this spring, hopefully by the end of April, says chef Douglas Paine. Construction of Bleu Northeast Seafood is in progress at the Marriott Courtyard Burlington Harbor. The restaurant will join Juniper, also helmed by Paine, and Hen of the Wood, both located next door in Hotel Vermont. Westport Hospitality owns both hotels. 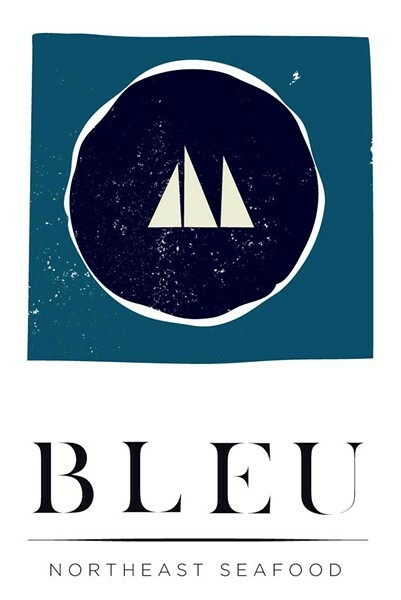 Paine already has an early version of the menu for Bleu, which will serve breakfast, lunch, dinner and weekend brunch and focus on regional seafood, much of it brought to Vermont by Wood Mountain Fish. Oysters will be a staple at all meals, served fried as part of a Benedict at breakfast and freshly shucked at dinner. The evening menu also includes rich seafood lasagna made with scallops, lobster, fresh crab, sea-urchin béchamel, handmade pasta and burrata. There's plenty for landlubbers, too. Steak frites and coq au vin grace the dinner menu. At breakfast, a Maine lobster frittata is balanced by croissant French toast and an egg-topped breakfast Reuben tartine. On weekends, a brunch buffet includes a Bloody Mary bar, a raw bar and prepared dishes. Not to be outdone, Juniper will introduce a new treat this summer. Paine is currently having a parrilla, or Argentine open-fire barbecue, built for weekly asado nights. He says it was inspired by several the hotel's owners saw during Westport Hospitality's annual meeting in Argentina earlier this winter. A portion of each asado meal will benefit Argentine investor Eduardo Joly's charity Fundación Rumbos, dedicated to making Argentina more wheelchair accessible. "It really kind of fits perfectly with Hotel Vermont," Paine says. He'll cook local beef, chicken and pork on the custom parrilla, then serve them family-style with salad, fresh bread and a range of sauces. The original print version of this article was headlined "Bleu Horizons"